Mrs. Lakshmi Suryanarayanan passed away on the 19th of April 2016. 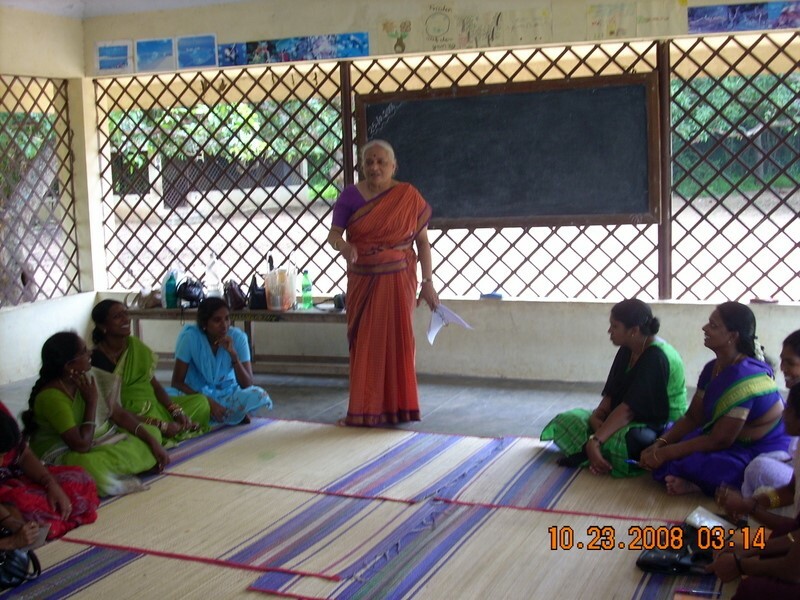 We at Asha Chennai and more broadly Asha for Education lost a pillar of our organization. 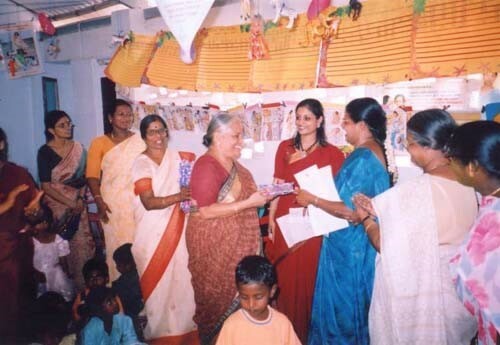 Lakshmi’s involvement with Asha started in 2002. Lakshmi was one of the founder volunteers of Asha Chennai chapter. In the year till about 2012 she was pretty much managing all the affairs of Asha Chennai. At times she was the Coordinator and other times the Treasurer of the chapter. But in reality she was pretty much managing all the activities of Asha Chennai. There wasn’t a single project of Asha Chennai where she wasn’t playing a pivotal role. Lakshmi was single handedly managing the Scholarship project during the initial years of the project. The government school projects started with Project Dream (near Needamangalam in Thiruvarur Dist. ), Project Sangamam (in the Poondi block of Thiruvallur Dist.) and Poorna Vidhya (at the Chennai corporation schools). She was instrumental in getting all these projects started and she was the person selecting and training the teachers. 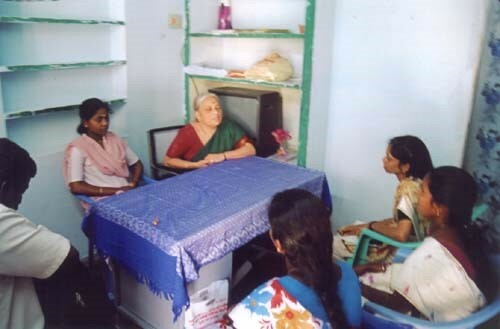 She also started the FirstStep project working with the Government Balwadis in Chennai. The teachers for the Balwadis were also selected and trained by her. She personally went to every Balwadi, selected the materials for the Balwadis etc. 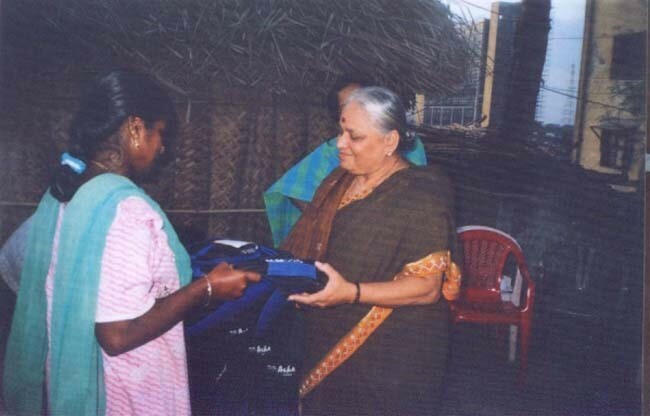 The RightStart programme for teacher training was completely carried by her on her shoulders. She used to manage the administration of that project as well as the actual training. She also started projects for using technology in education, the Bridge project and the ECTAL project (Educational Contents for Technology Aided Learning) which developed contents for teaching the Tamilnadu state board curriculum. During the time of the 2004 Tsunami and the Relief and Rehabilitation work, she worked almost non-stop for the entire year of 2005. Over 3000 students and several hundred families benefitted from the work of Asha which was primarily implemented by her. 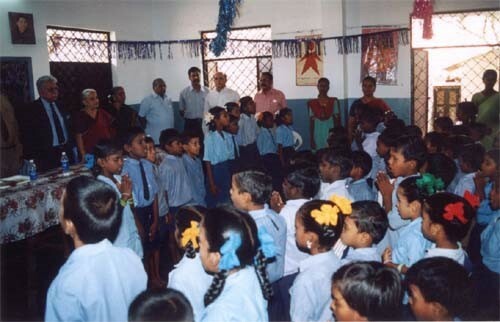 Schools like the Sinthanai Sirpi school at Akkarapettai, George Higher Secondary School at Vishnupuram, Srikrishna Middle School at Thappalampaliyur. The Panchayat Unions at Rishiyur and Placepalayam also are housed in good buildings due to funds raised and projects coordinated by Lakshmi. As big as her role was with Asha Chennai, she played just as big a role in the wider Asha. She was selected as a trustee of Asha India in 2005 and continued in that role till her last breath. She had attended several Asha India conferences and helped in training teachers supported by other Asha chapters as well. She had visited several US chapters during a trip to the US in 2003-04. 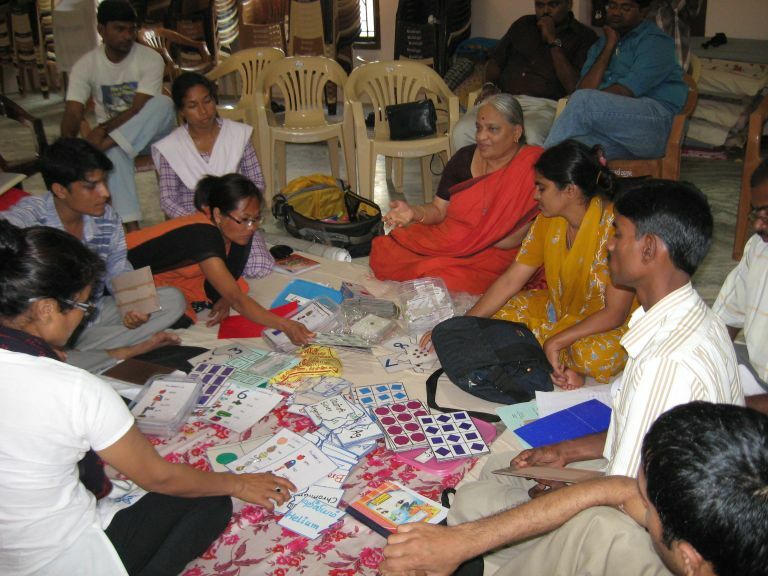 She helped volunteers there understand the state of education for the poor on the ground in India. She remained in contact with a lot of those volunteers during the Tsunami relief activities as well as working with them for the support of several deserving projects here. Several NGOs remain indebted to her for her support like TEA trust in Chengalpet, Bharathi trust in Chennai, Sowbagya Trust in Chennai, Sewa Chakra Trust in Chennai etc. It is incredible to imagine that she was doing all this while also running the Olcott Memorial School as its Head Mistress and then the Director for all these years. She was instrumental in significantly improving the quality of education at this school during her tenure. As a person she was an eternal optimist. She was always hopeful of a better future tomorrow. That inspired her and others through her to work tirelessly even in the face of frequent adversities that one faces in the field of social work. There was no wall between her personal life and her social work. This I am sure did not come about without serious sacrifices. There were always teachers and students and others who need her help around at her house. She never said no to any of them. It is indeed a remarkable lady that was laid to rest on April 19th. 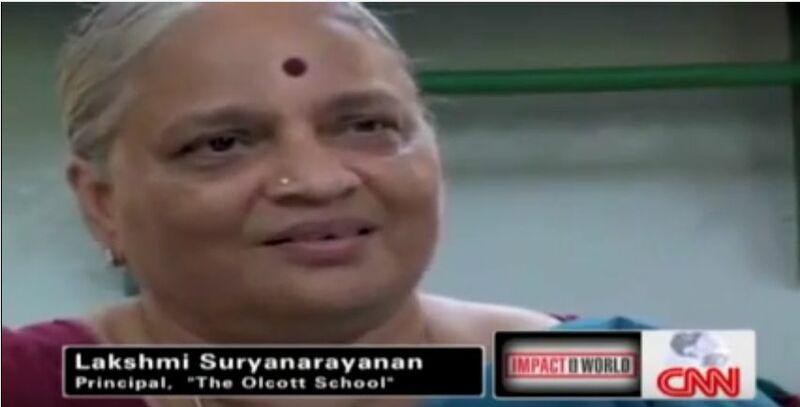 Her work continues somewhat diminished but still with the energy she has infused in Asha, Olcott Memorial School and other organisations she has touched. Asha for Education is a fully volunteer-run 501(c)(3) non-profit with 50+ chapters around the world whose mission is to catalyze socio-economic change in India through the education of underprivileged children. Click here for more details about us. We work with over 200 projects spread across the length and breadth of India. The projects deal with educational issues from pre-primary schooling to professional education in locations from urban slums to isolated rural areas. Click here to learn more. You can help us in our mission in a variety of ways. You can join a local chapter, get involved with projects in India at an intimate level with the Asha Stars program, help us with our fundraising efforts, visit a project in India, intern with us or our project partners or Donate! Click here to learn more.